Curved OLED displays aren't just a Samsung prerogative any more, it seems, as Elephone is eking out models with such screens, but made by one of the largest display companies in China. BOE introduced a flexible OLED screen back in October, and Elephone is seemingly the first one to take advantage of the gear that breaks Samsung and LG's duopoly in the industry of thin, frugal displays with ultrahigh contrast ratio. The Elephone U Pro is outfitted with a 5.99" curved screen with 1080p resolution, boding well for battery life, and is powered by Qualcomm's upper midrange Snapdragon 660 chipset. It also offers a decked-out version with 6 GB RAM and 128 GB of storage. When we add the dual camera at the back, with 13 MP Samsung sensors, and the wireless charging, the package becomes one of the best bangs for the buck you can get in the world of curved displays. The dual camera on the back sits vertically, just like on the eventual Galaxy S9+, and the semi-elliptical finger scanner comes right underneath. 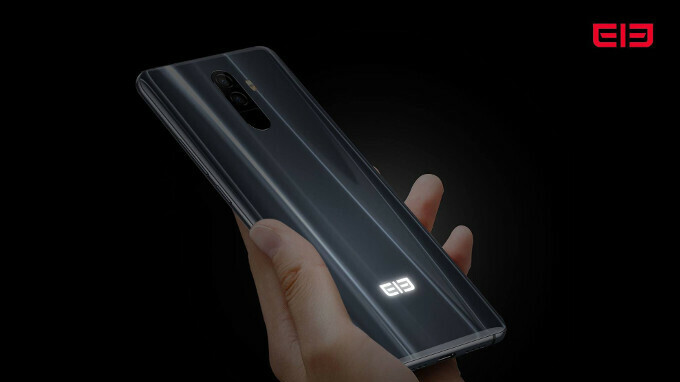 As for pricing, Elephone's new flagship will inevitably be a good chunk of change less than what a sloping-screen Galaxy would command, staying at sub-$500, and the U Pro will be available this month for those who are fans of the curved display aesthetics, but don't want to break the piggy bank to acquire them. Woah. SD 660? I rarely see phone powered by that processor. If somehow these phones would run 100% Google-controlled software, I can see no reason to not buy it. I mean, I would rather send my data to Google than the Chinese, Google has most of it anyway. But knowing that many of these brands put spyware inside, I will just skip this article and move on. Look at those nasty icons and that gingerbread search bar lol. I got Elephone S8 recently and its turning out to be one of the most 'worth it' phone purchases I have ever made. U Pro is up for presale at $439 on gearbest for the 6GB version which is decent price. I am only concerned about the AMOLED display maker BOE, its not too widely known. After the initial presale, when price drops below 400 for the 6GB version, it will be an awesome buy. Elephone are one of the few Chinese brands who put some thought into what they actually put into a phone rather than just using stuff for marketing gimmicks. S8 has Sony camera sensor, Samsung memory, Mediatek flagship x25 processor and no real bloatware. U Pro has AMOLED which is more frugal on the battery so the slightly smaller 3550 mAh battery won't hurt as much, 660 which is probably the best combination of power and battery economy and dual Samsung camera sensors. Elephone do not skimp on the quality of components and I would love for them to succeed so that we have another good economical option.